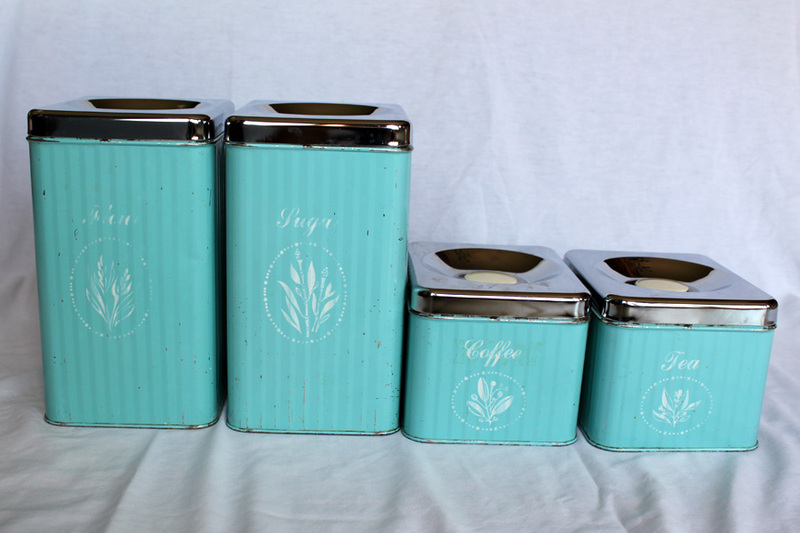 In August I found these beautiful canisters. I loved the vintage look and the aqua color. I listed them in my shop. Today someone in Denver purchased them. She let me know that she is getting married next summer and wants to use these as vases for centerpieces at her wedding. How cool is that. I love the idea. But more than anything her comment made my day. I really am enjoying the hunting and reclaiming of vintage items. However there are days when my life is crazy busy I wonder why I added this hobby, passion, obsession to my already busy days. Then I hear a brief story from someone who loves an item I found and is going to use it at her wedding; again I know that is why I do this. I love the stories no matter how brief and that this item will be a part of this woman’s special day.